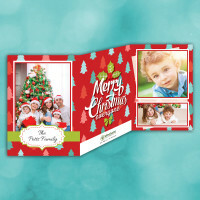 Send a memorable holiday greeting with this unique Christmas photo card. This holiday season, share some memories with a custom photo holiday card, personalized with your family's special touch. 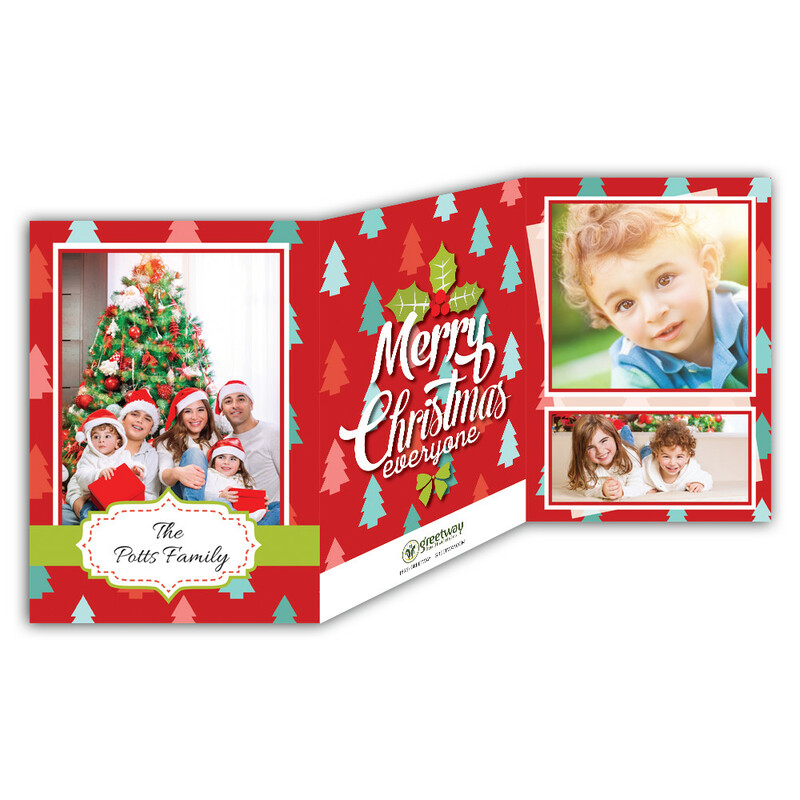 You can select up to eight family photos to share, all set against the bright-red, tree-spotted background. There is even a message box inside to write a personal message. The card is beautiful and festive, and sure to brighten up the holidays.